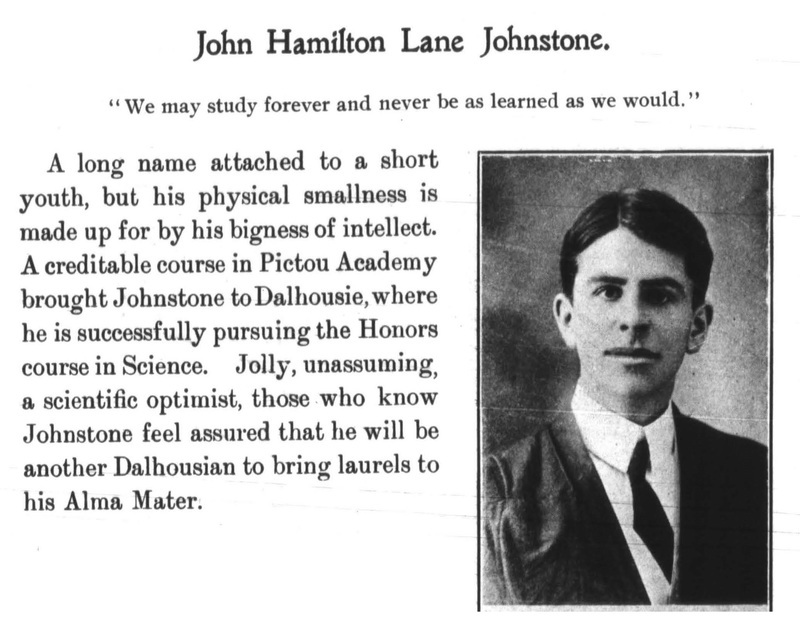 John Hamilton Lane Johnstone was educated at Pictou Academy before before earning a B.Sc. (1912) and M.Sc. (1914) at Dalhousie University. He became a student instructor of mathematics in 1911 and received the University Medal in mathematics and physics in 1912. Johnstone went on to complete a Ph.D. at Yale in 1916, after which he joined the army and became captain of the Royal Canadian Engineers in France. He also fought with British forces in Salonika and was made a member of the Order of the British Empire. 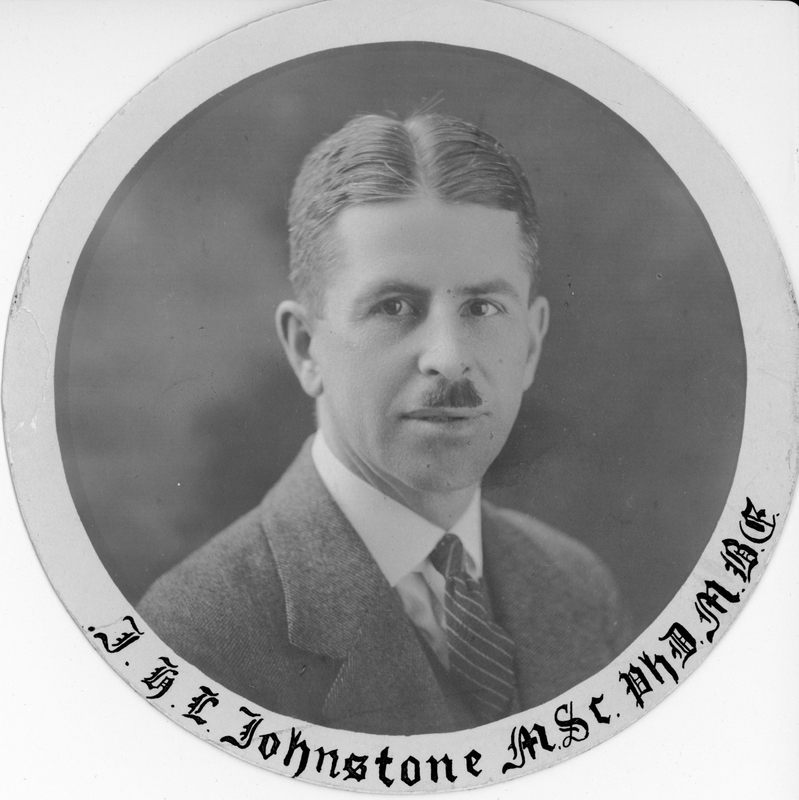 In 1919, Johnstone returned to Dalhousie to teach and was made a full professor in 1926. In 1925, he was sent by Dalhousie to Newfoundland to advise in the creation of Memorial College. 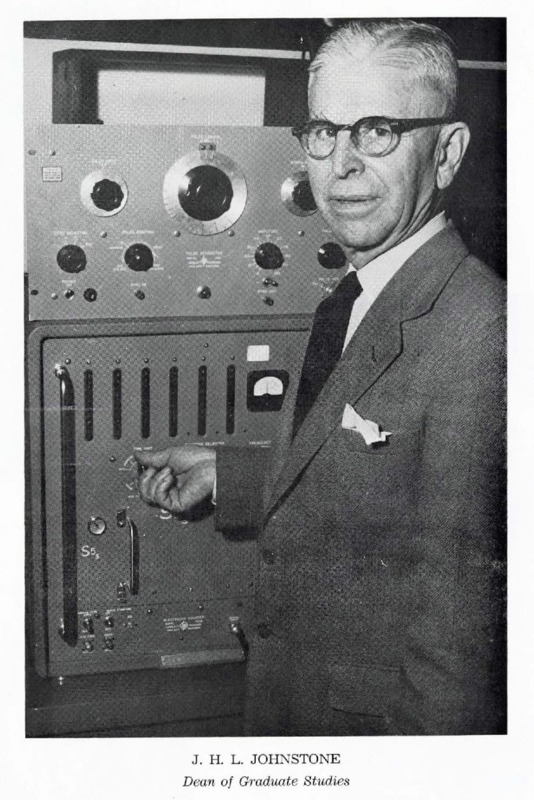 During the Second World War, Johnstone was seconded to the National Research Council for naval research, along with fellow Dalhousie professor G. H. Henderson. 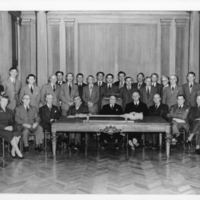 The two professors researched magnetic mines that were used by the Germans and built an instrument to detect them. 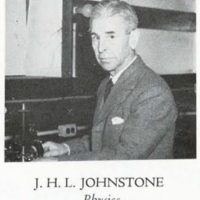 After the war, Johnstone returned to Dalhousie and became the head of the Physics Department. 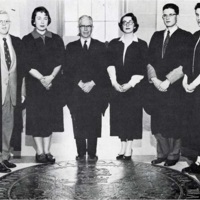 In 1949, he was appointed as the first Dean of Graduate Studies. Johnstone was involved in the construction of the Sir James Dunn Science Building and the Nova Scotia Research Foundation building. He passed away in the winter of 1972-73 at the age of 83 during a holiday in Mexico. Guptill, E.W. 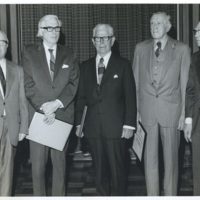 (1974). J.H.L. Johnstone. Proceedings of the Nova Scotian Institute of Science, 27(2), 102. Dalspace. The Dalhousie Gazette, Volume 44, Issue 9-10, Dalspace.